The Revision Weekend for both undergraduate and postgraduate modules will be held at Kents Hill Training and Conference Centre, Milton Keynes, MK7 6BZ from Friday 10th May to Sunday 12th May 2019. Undergraduate Mathematics: M208, M303, M337, M343, M346, M347, M373, MS327, MST124, MST125, MST210, MST224, MST326 and MT365. Postgraduate Mathematics: M820, M821, M823, M829, M832 and M836. Application forms can be downloaded from this site – see below. All bookings are subject to a £25 non-refundable deposit. Members are entitled to a discount of £15 on all bookings made before 10th April. Non-members must pay in full on application. We cannot guarantee residential accommodation will be available for bookings requested after 10th April 2019, and we reserve the right to charge an administration fee of £20 for all applications received after 10th April 2019. You are advised to book as early as possible as a module may be cancelled for lack of interest or, if fully booked, closed to new applicants. We have a maximum of three hundred residential rooms available for students. Courses that we have been obliged to cancel are M248 and M249. Courses that were undersubscribed but are now viable are M208, M346 and MS327. Accommodation at Kents Hill is filling fast, and some courses are now oversubscribed, so if you would like to apply for the Revision Weekend it would be wise to do so without delay. The final cut-off date for applications is 30th April. LIfts: if you would like to request or offer a lift, please inform the Weekend Organizer, and your name will be added here. Lifts offered: A student is driving Exeter – Milton Keynes on Friday, returning after last lesson Sunday. Science Revision Weekend A similar format to the M500 Revision Weekend covering Open University chemistry, physics and biology ‘S’ modules. University Programme Committee Are you interested in representing your fellow students? Standard rate for applications received* before 10th April 2019 – £275.00 Single occupancy / £240.00 per person for two students sharing in either a double or twin bedded room (Partner/Carer rates available on request). Members are entitled to a £15 discount. Late Booking fee for applications received* after 10th April 2019 (if accommodation is still available) – £20.00 per person additional administration fee on the standard rate, with no membership discount applicable. *Postal applications must be postmarked no later than two days before the cut-off date for each rate. Dinner, bed and breakfast if required, on Thursday or Sunday night is £72.00 per night single / £50.00 per person shared; bed and breakfast only is £55.00 per night single / £35.00 per person shared. There are five teaching sessions for each module, which are Friday 19:30-21:30, Saturday 9:30-12:30 and 14:00-17:30, and Sunday 9:15-12:15 and 13:15-16:15. Total teaching time is about 13 hours. You will be asked to nominate the module for which you are most likely to attend sessions plus any others you may wish to attend. Attendance at sessions for other than the primary module will depend on space in the teaching room and will be at the discretion of the tutor. Tutors will be asked to provide handouts for all students who declare an interest in their module. You may request a change to your nomination at any time prior to the Weekend, provided that the module group you wish to join is not at full capacity. We will, where possible, provide tutors who have previous experience of delivering revision sessions for their modules. However, this is not always possible and we sometimes have to rely on the recommendation of others – usually line managers and/or students – and cannot guarantee to meet your particular expectations or guarantee a pass mark. An electronic receipt will be emailed to the address given on the application form as soon as the booking is processed. If you believe that you should have a receipted payment please check your spam/junk folder before emailing Weekend Organizer to enquire if your application and/or payment has been received. Signed, printed receipts are issued on request if you send a stamped addressed envelope. As a small voluntary organization we do not issue invoices against a Purchase Order from a sponsor, but are willing to accept (and receipt) payment from a sponsor on behalf of a student – either by cheque or BACS transfer. However, if for any reason we do not receive such payment we reserve the right to charge the student as an individual for any outstanding amount or to cancel the booking. We will also provide a certificate of attendance at the end of the Weekend, should a sponsor require it. Please leave a stamped addressed envelope at the desk when you register. If you cancel your booking, please confirm in writing – email is acceptable. If you cancel before the 10th April 2019, you are entitled to a refund of your payment less £25.00. Refunds for later cancellations cannot be given under any circumstances. If your module is full, there will be a waiting list, and your cheque will not be cashed unless a place becomes available. If we cancel the only module, or all of the modules, you have indicated you wish to study and you consequently do not attend, we will refund your fee in full, but accept no liability for any other losses, for example pre-booked, non-refundable travel tickets. We advise you to insure against such losses, including any arising from the non-arrival of a tutor. Society members may reserve a place with a £25.00 deposit during the early booking period, with the balance due on or before the 28th February. Non-members, and members booking after this date, must pay in full at the time of application. Please make cheques payable to ‘The M500 Society’. Cheques must be in sterling and payable at a UK bank. Please make sure you have funds to cover your cheque. A bounced cheque will incur charges and may cause you to lose your place. If you prefer you may make payment by BACS transfer. All payments must be cleared before the 10th May. Bedrooms are single occupancy by default, but double occupancy, in either a double or twin bedded room, is available if required. Bedrooms are en suite. Rooms must be vacated by 10:00 on the day of departure and a luggage storage facility will be available. Meeting special accommodation requests may not always be feasible, but Kents Hill will try to oblige. Rooms are allocated in booking date order, with the double-bedded rooms allocated before the twin-bedded rooms, unless you book early and request a twin room. If you request a room near one or more friends, your room allocations will be made when the final application of the group is received or immediately before the allocations are confirmed with the venue. We allocate low bedrooms on a first come, first served basis but please ask only if you really need one. All floors are served by both lifts and stairs. We put ‘quiet-requesting’ people together by area where possible, and we also ask everybody to be reasonably quiet. Friday dinner is included with the residential package and dinner will be on sale before classes on the Friday evening for those non-residents who want it. Please indicate on the booking form if you are likely to want this to assist the caterers with planning. Final information and instructions relating to the Weekend will be emailed to students shortly before the event. 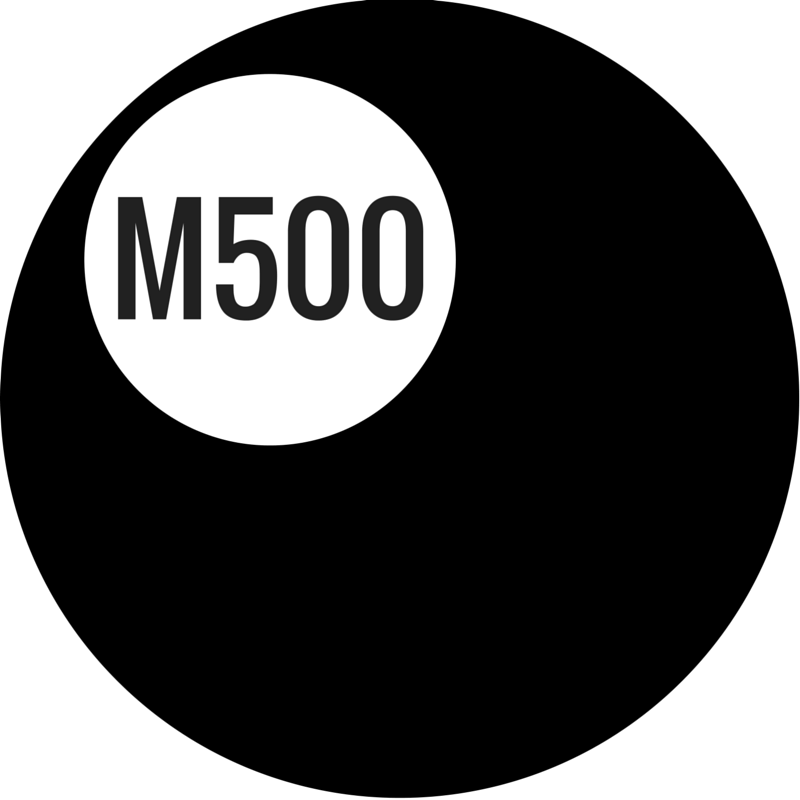 Please ensure that you have ‘white listed’ the weekend@m500.org.uk address. The Kents Hill web site has information about travel directions, site layout, maps, local taxi firms etc. There are about 800 free parking spaces on the Kents Hill site. Disabled parking is available near the residences and conference building. Non-members may apply to attend the Weekend with a deposit-only payment of £25.00 if they also apply to join the M500 Society; otherwise full payment is due at the time of booking. The balance of the booking fee is due before 1st March. For full details of membership and to join, download an application form and send to the New Membership Secretary. Membership fees and Weekend payments are credited to different bank accounts, so please do not send a single cheque or BACS transfer to cover both payments – unless you are outside the UK and would incur bank charges on both payments. When residential places are fully booked a waiting list will operate and any cancelled rooms will be made available to students on that list in booking date order. If there are still places in the module groups and sufficient capacity for catering, non-residential places may still be available, but we reserve the right to charge a late booking administration fee after 10th April of £20.00. Email the Weekend Organizer if you have any questions. Copyright © 2019 M500 Society. Powered by WordPress. Theme: Ample by ThemeGrill.